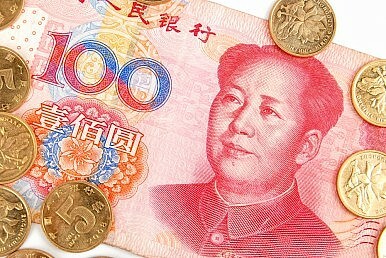 China to Be World's Largest Economy in 2014? According to calculations based off a new World Bank report, China will become the world’s largest economy this year. New data indicates China may pass the U.S. to become the world’s number one economy later this year. According to figures released by the World Bank’s International Comparison Program, China and other economies’ purchasing power is higher than originally thought — resulting in a radical chance in calculations of purchasing power parity (PPP), used to compare the size of different economies. According to the new calculations, China’s economy was already up to 87 percent of America’s in 2011. As Financial Times reports, China’s economy is expected to grow 24 percent between 2011 and 2014, compared to 7.6 percent growth for the U.S., meaning China’s total economic size will likely pass the United States’ by the end of the year. However, when calculated using nominal GDP, the U.S. economy was nearly twice as big as China’s in 2011, leaving a much larger gap for Beijing to make up. As the Wall Street Journal’s China Real Time blog explains, some economists prefer PPP rather than nominal GDP (based on the actual exchange rate) to measure economies. PPP is viewed as more stable and a better measure of how much a country’s economy is ‘worth’ in terms of what its currency will buy. The news that China’s economy will be number one using one official measurement is a big deal, but how big of a deal remains to be seen. As China Real Time pointed out, international news media extensively covered China passing Japan as the number two economy — but only when China passed Japan in terms of nominal GDP, not in terms of PPP-adjusted calculations (which had happened 10 years previously). Interestingly, China’s National Bureau of Statistics (NBS) “expressed reservations about some aspects of the methodology employed in the 2011 ICP round,” according to the ICP report. As a result, “the NBS of China does not endorse these results as official statistics” — effectively depriving China’s government of any bragging rights that might come from the new ICP report. Accordingly, though the news that China would become the world’s largest economy appeared in major international publications around the world, China’s official state media was mostly silent on the story (there was a short piece on People’s Daily [Chinese], which covered the 2011 statistics with no mention of the implications for 2014 and beyond). China is reluctant to be crowned the world's largest economic power — at least for now.